Posted November 22, 2011 by Josette Farrell in Features. Sowing: Sow small amounts every 3-4 weeks from late March until July. Sow 3 seed per cell in modular trays and plant out 4 to 5 weeks after sowing without splitting up the module. Sowing: March until July. It can either be sown directly into the garden or first raised in modular trays. The seeds are actually clusters of seeds and as soon as the seedlings appear they should be thinned to leave just one seedling per station. An amazing plant that grows up to 2m. The leaves have a red tinge. Most unusual and attractive. You may grow it more as a curiosity than as a vegetable. Sowing: Late March- May Sow 1 seed per module and plant out about 4-5 weeks after sowing. Uchiki Kuri is one of the most reliable squashes to grow. Orange/red pear shaped fruits with a nutty flavour. Well worth trying. Highly recommended by Jason Horner for its taste and reliability. A purple skinned variety with excellent disease resistance and excellent taste. The one to try if you haven’t had success with swedes in the past. Sowing: April to June Sow one seed per module about 1cm deep and about 4 – 5 weeks later plant out. Note: I found module grown plants vastly superior to direct sown swedes. A plant that is 30 times sweeter than sugar and with not calories. You can just pick leaves to sweeten any drink or food. It will be very popular! Only grow indoors or in summer in a very warm garden. Sowing: Sow 2 seeds in each cell of a modular tray from early April until late June. 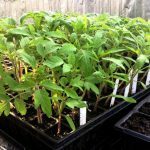 Plant into a tunnel or greenhouse about 5-6 weeks after sowing. Alternatively pot on into a 9cm pot containing good potting compost and place on a warm south-facing windowsill. Sweet Nugget produces super-sweet sweetcorn. Produces very long, delicious cobs. A very early variety so performs well under cooler conditions. A very large beef tomato with delicious fruits. It will remind you of your holidays in the Mediterannean. Sowing: February to March Sow 5 seeds into a small pot (7cm) and keep in a warm place. Pot on into individual 7cm pots when ready. Plant into greenhouse or polytunnel. The ultimate tomato. Any taste comparison of different tomato varieties will always have Sungold on top. It produces hundreds of golden yellow cherry tomatoes. You can’t miss out on them! A delicious tomato with very attractive striped fruits. Excellent cropper. A delicious and very reliable variety with purple tops and white skin. Our own mix of the most, colourful and tasty oriental salads. Very easy to grow. 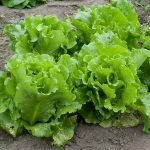 Oriental salads are excellent from late summer onwards right through the winter if grown under protection. In spring they are very prone to fleabeetle attacks and are best avoided unless grown under a fleece. Sowing:Sow small amounts every 3 weeks from late June until late September. Seeds can be sown directly into the ground or into modular trays (5 seeds per cell) and planted out 4 weeks after sowing. A frilly salad mix, very decorative , ideal for fancy dinners. Very easy to grow and also delicious. Our own mix. Sowing: Sow small amounts every 3 weeks from late June until late September. 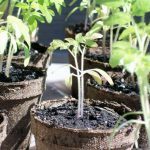 Seeds can be sown directly into the ground or into modular trays (5 seeds per cell) and planted out 4 weeks after sowing.